The Rolling Stones are offering a video message to fans in Cuba ahead of their historic free concert in Havana on March 25. "Hello Cuba, we are very excited to be coming to play for you,” says Mick Jagger on behalf of the group. “We have performed in many incredible places, but this concert in Havana is going to be a historic event for us. We hope it will be for you too. “Thank you for welcoming us to your beautiful country. We hope to see you all on March 25 at Ciudad Deportiva." The groundbreaking free show will mark the first open air concert in the country by a British rock band. The event is being made possible by the benefaction of Fundashon Bon Intenshon on behalf of the island of Curaçao. Fundashon Bon Intenshon initiates and supports international charitable projects in the fields of education, athletics, cultural literacy, healthcare and tourism as well as other attempts to mitigate the impact of general poverty. The Rolling Stones “Concert For Amity” will be filmed and produced by JA Digital with Paul Dugdale directing and Simon Fisher and Sam Bridger as producers. The band are also leading a musician-to-musician initiative in which much needed musical instruments and equipment are being donated by major suppliers for the benefit of Cuban musicians of all genres. 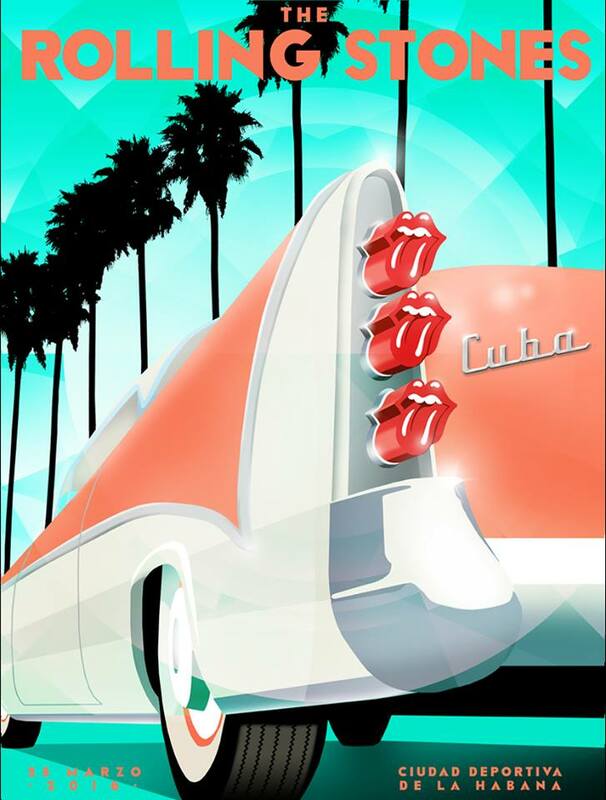 The Cuban concert comes on the heels of the Rolling Stones’ America Latina Ole tour, which wrapped up last week in Mexico City.